Since we discussed my favorite bookcase yesterday, I figured we could talk about my favorite way to dress up a coffee table. You guessed it I'm sure by the title of the post, but we are discussing coffee table books! Try not to get too excited, I know they are a really fun feature in any room. The theme of the week is showing off personality through items in your home, so I will divulge my personality through coffee table books. It is really easy to take a basic table and turn it into something memorable. One of my favorite ways to do that is by putting fun books on display. I change them regularly and also seasonally. I love putting out a couple Christmas books whenever Christmas rolls around. Currently, one of my coffee tables houses an lost ancient cities book, a book about Texas, and a book my mother got for me for my birthday. These books scream Nicole, because I'm absolutely in love with ancient cities, my momma, and my home state Texas. Every time some one sees these they start a conversation and it allows for an interesting talk on why I love these things. 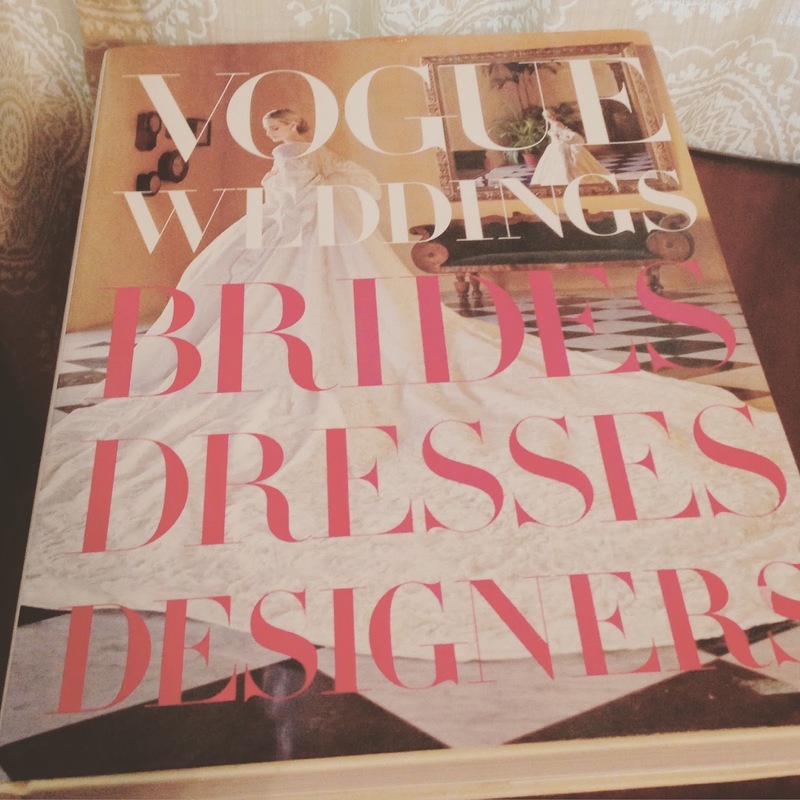 On my other table, I have the Vogue book Vogue Weddings. I am obsessed, and I do mean obsessed, with wedding planning. I miss planning my own wedding every single day, so this book gives me something fun to look at when I need my fill of weddings. I love this book and not only does it make a lovely table decoration, but it is really fun to look through. Sometimes I even throw my Kate Middleton book out on the table to jazz it up some. Basically when anyone looks at this table they can automatically tell I love weddings and Kate Middleton. Now my favorite thing about these books is when I happen upon them. I do not go shopping at Barnes & Noble and on the particular mission to find a coffee table book. Yet, I find some really incredible books whenever I'm not looking. My place to find the books is normally in the clearance shelves. This is where the not wanted books go to be picked up by people like me. I've found a stunning book on 1920's architecture and Art Deco, a book on the glorious landscapes of Ireland, and even fashion books. These are certainly coffee table books, but they do not have to be boring! The books are a cheap and easy way to show off personality. I promise you, it will spark a really fun conversation. Do you have any fun coffee table books that you love? Comment below and share! I need more coffee table books, we never had any coffee tables as a kid, so I need this! I would love to just flip through the pages of these coffee table books! They are so cute! I need some for my home. My family isn't big on coffee table books, but I'm planning on getting a few when I move into my apartment for the upcoming year! Love these picks - I've definitely got my eye on a few Vogue books! Love that last Vogue book! I grew up poring over the pages of the coffee table books in my parent's living room, and definitely want to incorporate them into my home or apartment sometime soon! Great picks! I love that you switch out your books seasonally, I've never thought about that! I did a post on my own coffee table books and instead of putting the focus on my interests, I aimed to have a book for anyone who might sit on my couch! I might have to get a few extra so I can switch mine out too! I love coffee table books and need to invest in some more. I always tend to find them at random times but have only ended up buying one. 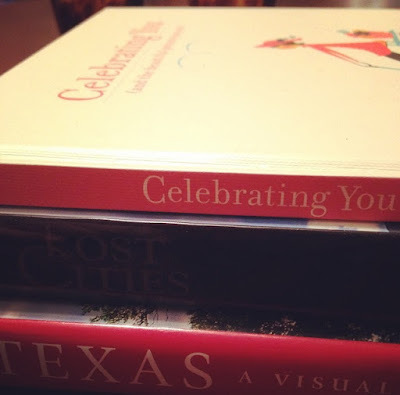 I have been on the hunt for new coffee table books! I am lusting over the Lilly Pulitzer and Kate Spade books!! I love love love coffee table books, they are scattered all over my living room. I have that same Vogue weddings book and can't get over just how lovely the photos are. I don't own any coffee table books yet since I don't own a coffee table (#dormroomprobs) but I do have a big cookbook collection for when I get my first apartment next year. :-) The Vogue weddings book looks awesome! I love coffee table books. I have one from Kate Spade that I turn to often for inspiration. Coffee table books are my absolute favorite! I'm obsessed with wedding planning as well. So I NEED to get that Vogue weddings book asap. Love coffee table books!! I definitely want some of these books... Great post!! I definitely need more coffee table books! I'm always obsessed with the Kate Spade ones! Coffee table books are my obsession! I need to step up my coffee table book game! That Vogue book looks so stunning, my guests would love it! Looks like I need to get myself some coffee table books! Great post! I bet the Vogue Wedding Dresses book is gorgeous! I love collecting interior design coffee books in my own home! I will have to use your tip of checking in the clearance sections! I would love to have a bigger collection of coffee table books, but the ones I fall in love with are always so pricey! Great coffee table books! I need a few!